Their assignment: Write, arrange, record, and produce a song. Inside a recording studio near Center City, with its muted light, giant speakers, and massive control board of color-coded dials and buttons, 20 students scramble into groups of singers, rappers, songwriters, producers, executives, and engineers. 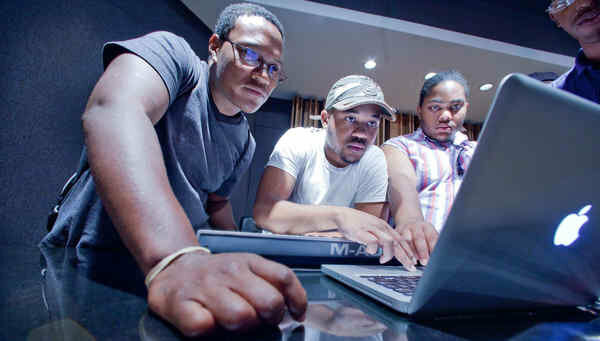 The aspiring big-name artists and moguls are in the studio for a day – part of a seven-week summer program to teach them what it takes to make it in the music industry. That means starting their own record label, finding an artist – from the class or one of their neighborhoods – and making a hit record. Basically, creating a musical star. “Everybody wants to be a rapper or a ballplayer,” said Brandon Pankey, executive director of DASH, a nonprofit group that runs the summer program. 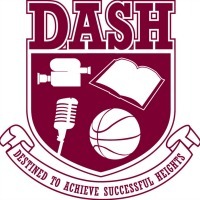 Throughout the year, DASH, which stands for Destined to Achieve Successful Heights, offers comprehensive crash courses in the business of music, mass media, and sports. The workshops, underwritten by private and public funding, are free, and bring in math, writing, science, leadership, and critical-thinking skills. “These are students who may or may not have had great academic records or grades,” said Pankey. “But they each know what they want to do in their lives. Their visit to the Studio, veteran producer Larry Gold’s facility at Seventh and Callowhill Streets, begins in the lobby, where they gawk at portraits of gold- and platinum-record megastars, including Justin Timberlake, the Roots, and Mariah Carey. From there, as a woman’s soulful voice travels through the speakers, they get an overview of the science (frequencies, fiber optics, distance, and depth), and the million-dollar technology and engineering that go into building melodies. After the lecture, the students turn to their 20-minute challenge – producing a hot tune. Lanky, 18-year-old James Bailey, who lives in North Philadelphia and has been singing since before he could tie his shoes but aims to be a producer, invents a melody in about a nanosecond. “I’m dream-ing . . . I’m dreaming of you,” he croons, swaying as he holds the straps on his Batman backpack. Across from him, near the studio’s caramel leather couch, four boys huddle around a laptop and compose a beat of piano, bass, and horns via Garage Band. “Find a loop for the beat,” instructs aspiring DJ Melvin Burton, who will release his own package of beats this summer on Facebook. In the middle of the room, two girls, working as engineers, stare at the neon bars on the flat-screen computer. And within the cacophony, the business team, led by Kathy Carter – a rising junior in a corporate-looking outfit who aspires to own a radio station – flutters from group to group, making sure everything stays on schedule. After several minutes of creativity, a combination of art and science, it’s time to lay the track. First in the booth are the vocalists: Bailey takes the lead, and two girls sing background. Roberts, the studio producer, directs them through the booth’s glass window as he works the control board. Bailey, wearing earmuff-like headphones, closes his eyes and inches up to the mike, singing his self-penned R&B love song. After a few takes, the other students, now fans and critics, two-step in agreement. But when a background singer comes in, her voice high, a few freeze; others shake their heads. Carter eventually boots the songstress, and her friend joins her in solidarity, letting Bailey go solo. Bailey is growing used to center stage. He recently won first place in the program’s annual talent show. That came with 1,000 hours of studio time and a meeting with an Atlantic Records senior vice president. Next up are the rappers. With his dreadlocks bouncing, Mark Bullock, who lives in Mount Airy and grew up writing short stories, delivers a tight, colorful flow that hypnotizes the crowd into a collective head nod. Roberts then fine-tunes the piece on the control board and plays it back. As the song pumps through the studio’s floor-to-ceiling speakers, the students dance, smile, and slap hands. It’s official. They have a hit. Contact staff writer Kia Gregory at 215-854-2601 or kgregory@phillynews.com.